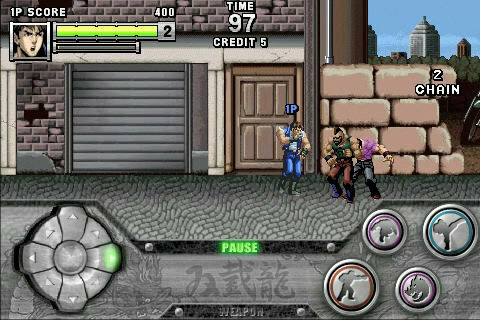 This port will be known by the super-descriptive title Double Dragon iPhone, and features a slick visual remake as well as the ubiquitous touch screen controls. Other changes include new bosses and combos, remixed tunes, and best of all, co-op multiplayer via bluetooth. No word yet on a price, but it's probably worth at least a roll of quarters, right? Page created in 1.0162 seconds.